Zoharum would like to present the latest album by the band entitled "Mantras of Bon." 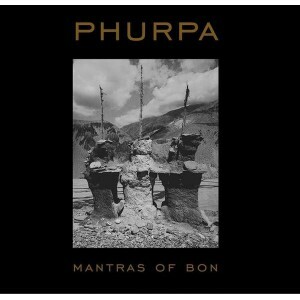 It is an extraordinary release, even for such an extraordinary and unusual project as PHURPA. More than 70 minutes of music here is divided into two parts. The first one, featuring Alissa Nicolai on vocals, shows the band from a completely different angle; the other one presents the most important and interesting sessions recorded over the past few years, with a recording from CTM festival where they impressed the audience with "kuntunzangpo."